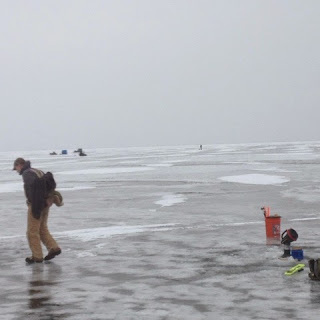 Ice fishing Saginaw Bay has been on my to do list for a few years now. Every year I talk about going and never seem to make it happen. I was not going to let that happen this year. 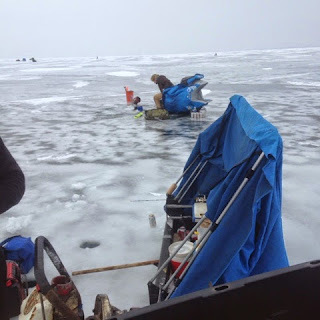 I was going ice fishing on Saginaw Bay this year. Ice fishing on Saginaw Bay was definitely all that it was cracked up to be. 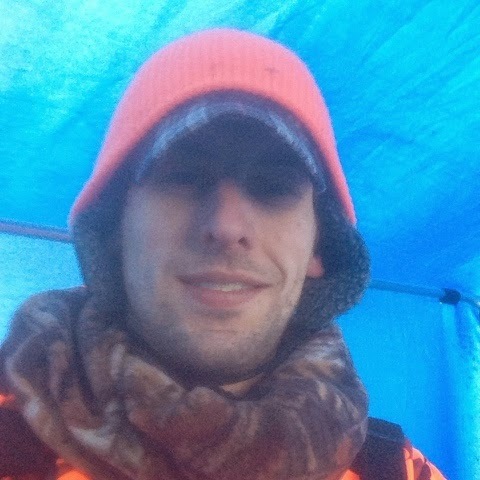 I made it out mid February and had a blast. The day started out at the Thomas road launch around 1 pm. My brother in law and cousin went out with me. 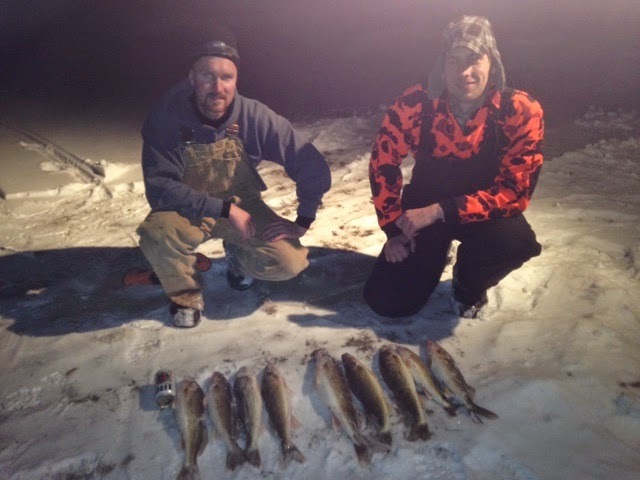 We had two shanties, two snowmobiles, perch minnows and jigging rods. My brother in law fishes Saginaw bay quite often and on that day had received a good report from a friend of his. His friends had done quite well in the morning and directed us to the area they were fishing at. The hot spot ended up being 7 miles from the launch. Talk about an experience! It is hard to explain what it feels like being 7 miles from shore on a frozen lake. Most people would say that is being crazy but I call it an adventure. One thing to note though is that I went out with somebody very familiar with Saginaw Bay. I do not recommend anybody going out on Saginaw Bay unless they are with somebody experienced. Back to the fishing..... Once we set-up on our spot we started catching walleye right away. We were getting fish on tip-ups, jigging rods and even a few on the dead sticks. Talk about a riot! We landed nine fish and lost almost that many in about 2 hours. At around 3:30 pm we caught our last fish of the day. After catching that fish, we figured we would get a limit for sure since we had 9 fish as prime time was just setting in. That wasn't the case for us. Instead of the bite picking up, it completely died on us. Oh well, I guess that is why they call it fishing and not catching. In the shanty nice and warm. All in all it was a great trip. I was able to spend some quality time outdoors having an adventure that many people will never experience. On top of the experience, I was also able to bring home some Saginaw bay walleye for the dinner plate!